To many people, the term “research” seems intimidating, scientific, time-consuming and all together a big, pointless headache. However, research is an essential part of the writing process. Research is the systematic investigation of a particular topic. It involves the study of various materials and sources. The ultimate purpose of research is to unearth facts, reach new conclusions, and revise preconceived notions. 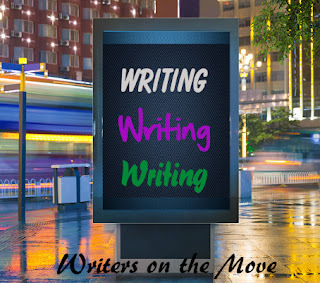 Being a writer or a blogger, you need to understand the connection between research and writing process itself, as it's impossible to create any outstanding and really awesome writings without facts behind them. Let’s take the definition of research and break it down into three important parts. When writers engage in research, there must be some method to the madness. The process must be systematic, organized, and logical. This is especially important when it comes to citation. All research must be properly cited. This helps prevent accusations of plagiarism. It also lends a much needed element of credibility. Without proper organization throughout the research process, citations will be difficult to come by. One of the most important aspects of research is credibility. It should be noted that not all sources are created equally. Writers won’t be able to establish credibility if the source isn’t reliable. Peer reviewed professional journals, for example, are more reliable than a personal blog. This portion of the research definition is probably the one that provokes the most phobic reaction. Writers dread the prospect of pouring over dusty books in a dark, dank portion of the library hoping to unearth a nugget of valuable information. Fortunately, not all research requires such methods—or even printed materials. Research comes in various forms. For example, it might include personal observations. Sitting on a park bench, “people watching,” might provide the information you need. The research a fiction writer embarks on might simply be market research. What do fans in this genre want to read? Research does not simply involve gathering information. It also involves analysis and interpretation. The information must be constructed into meaning. Facts alone won’t make a logical argument. For example, it is a fact that each Major League Baseball team plays 162 games in roughly 180 days. But if the writer doesn’t interpret those facts into relevant supporting date, it means nothing. Does the writer want to express the idea that each team will need a variety of pitchers to survive such a grueling schedule? Does the writer want to point out that the baseball team owners stand to earn a lot of money off ticket sales? To be effective, research must involve analysis. In the world of academic writing, research is often conducted for the sole purpose of learning to do research. Students must show they understand the process and are evaluated on their effectiveness. Many writers assume the art of research ends once the tassel has been moved to the other side of the mortarboard. However, they couldn’t be more wrong! Personal experience lends quite a bit of validity to an author’s writing. However, nothing can replace quality research—regardless of the writing style. There are many reasons why research is important; here are just a few. Unless you have a whole bunch of alphabet soup behind your name referencing all the degrees and professional distinctions you’ve earned, you’re going to need the help of people who have earned those recognitions. If your ideas align with those of industry leaders, your points suddenly seem valid. Without credibility lent from other people, your argument will fall flat. Reading is one of the greatest ways to learn new information. It has a significant impact on not only your writing, but on life overall. Reading is often encouraged as a way to improve writing. But when you incorporate research into the act of reading, it becomes even more significant. Research helps the writer better understand the topic at hand. The writer probably already has a general understanding of one aspect of the issue; research helps the writer understand all sides of the argument. Research unearths the contributing factors that the writer would otherwise be ignorant of. Once the writer has become more educated about the topic, he or she is able to speak as an authority. The writer’s voice will be more informed and influential. In order to get your writing published in credible, noteworthy publications, you’ll need to conduct research and cite your sources. This is an industry standard that must be adhered to. Many professions rely on published works. Doctors strive to get published in medical journals. Bloggers hope their ideas can get shared on more noteworthy sites. It doesn’t matter the type of writing or the final source of publication, the process is quite significant. It is possible to set out on a writing project with opinions and ideas that seem groundbreaking. You might think your ideas are totally unique and will cause quite a stir among the readers. However, it is possible that your idea really isn’t all that new. Perhaps someone else has already thought of it—and had it published. If you take credit for that person’s ideas—even if it was unintentional—it’s considered plagiarism. Research will reveal all pertinent information about a particular topic. It will help prevent the writer from claiming someone else’s work as their own. It doesn’t matter the topic or type of writing; research is an essential part of the writing process. Researching data and interpreting the findings should be a standard for all writing projects. Lesley Vos is a blogger. She creates content on the topic of writing, education, student life, and digital marketing. Lesley contributes to many authoritative websites and writes her e-book now. More works of hers are available on Google+. Lesley, thanks for sharing with us. Great information! Very helpful information, thank you Lesley. Lesley, I agree. I'm a nonfiction writer. Finding authoritative sources is important for credibility as an author. Publishers want to see that your work has been peer-reviewed. For my book, Survival Secrets of Turkey Vultures, I interviewed five experts (a professor at Virginia U, a forest ecologist at the Department of Natural Resources in Minnesota, a raptor biologist at Hawk Mountain Sanctuary in Pennsylvania, a leading ornithologist, professor, and author in Canada, and a researcher, wing-tagger and author in Saskatchewan. These experts provided new insights on vultures and reviewed my manuscript for accuracy. I enjoyed working with them. I keep my research notes in a binder, organized by category: interviews, journals, etc. That way, if anyone questions a fact, or as you suggested, suspects plagiarism, your notes will be accessible. 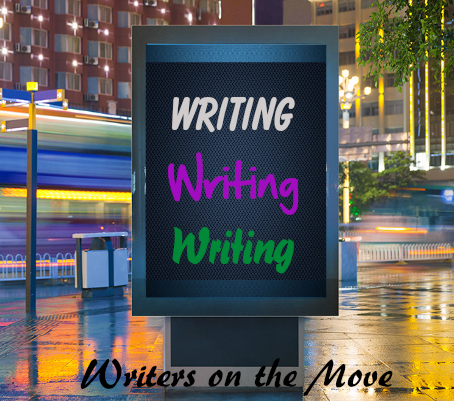 Deb, these are great tips for other writers wanting to write nonfiction. Thanks for sharing. Hi, David! Glad you like the post.